Over the last few years make-up companies have started realizing that in order to make the skin look better you need to protect is against the elements and aging. They've started including natural plant based ingredients, as well as SPF to protect the skin. Anti-aging is much more than products that you put on your face (although those help!). This process also has to do with your body changes and your diet lifestyle - as well as the way that you take care of your skin. The anti-aging niche is HUGE and an evergreen market. You'll find that there are tons of products that you can promote. As an affiliate you could earn serious money because they are consumable and people have to buy them every month or two. 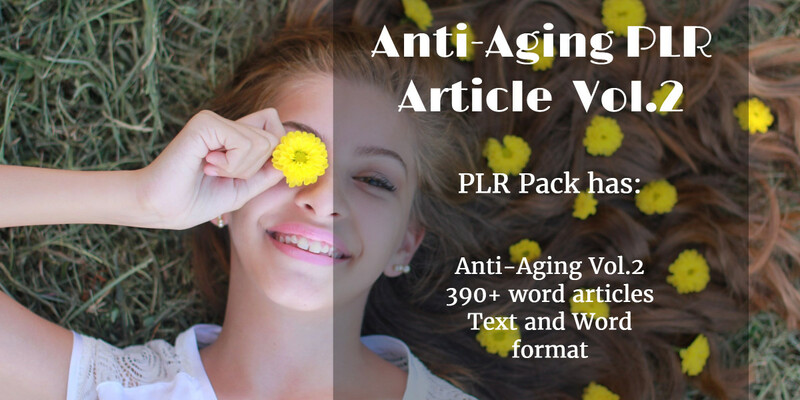 You’ll get this PLR bundle for only $17.00! As you can see you can earn some serious money as an affiliate for anti-aging creams, serums, and moisturizers. If you're not able to become an Amazon affiliate or you'd like to promote a different product there are direct sales companies (MLM) that offer anti-aging products that you can sale. 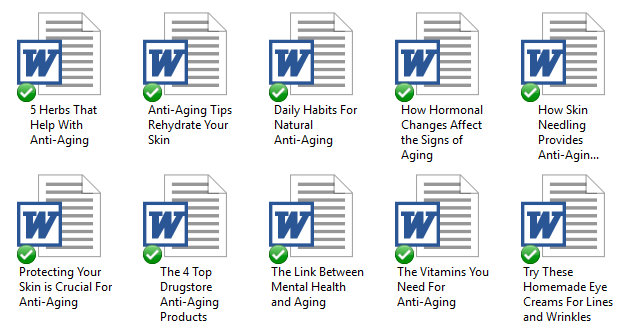 I’ve come up with 200 long tail keywords all related to anti-aging. You’ll find some of these are what people like to call low-hanging fruit keywords while others have more searches.